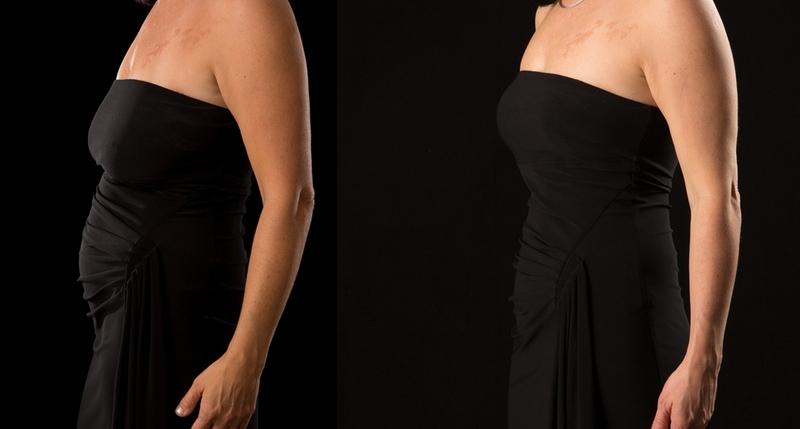 Breast lifts are commonly done in women who have had children or lost weight. Reduction of unnecessary breast tissue and volume (the saggy part) can be a part of the breast lift, and volume higher in the breast can be added with an implant if desired. Occasionally, the lower tissue can be arranged higher and no implant is necessary. At the time of your consult, I will take a careful history to ensure that you are a good candidate and then you will be examined. A surgical plan that meets your goals and is safe and predictable will be discussed with you and illustrated on diagrams. If possible, I will re-arrange your breast tissue so no implant is necessary. The smallest scar necessary (around the areola) will be chosen and a vertical or J scar will only be added if necessary. Adding an implant allows for less scars, but also adds the pros and cons of an implant. This balance between volume and skin tightening (mastopexy) is the art of a good breast lift. Interested in getting more information regarding Mastopexy (Breast Lift)? Contact us to book your consultation.